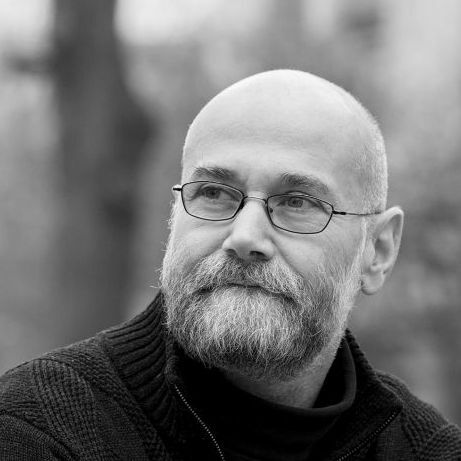 Yochai Benkler is an economist, lawyer, Lecturer at the Faculty of Law of Harvard University and codirector of the Berkman Klein Center for Internet & Society at the same university. Cities can adopt practices that will engage residents in communities of practice, building on making, doing, and sharing together as a base of identity that can provide real sense of belonging. Democratic market society is in crisis. From Brazil to the Philippines and from Hungary to the Unites States of America voters are turning to authoritarian figures stoking fear and hatred to offer their adherents a sense of identity and self-empowerment. In many places, economic insecurity underlies the desire for easy ‘us against them’ stories. But we see nationalist populism gaining substantial support even in richer social democracies like Denmark or Sweden. The diversity of countries in which ethno-national populism is rising forces us to recognize that part of the problem is that for many, pluralism and an open, diverse, cosmopolitan society offers too little by way of a sense of identity and shared fate. We have seen alliances of cities seek to cooperate in the face of another global challenge—the climate crisis. Is there anything that an alliance of cities can do to push back against this threat to democracy? I will argue here that yes, there is such a path: because they are closer to citizens than national or regional governments, cities can adopt practices that will engage residents in communities of practice, building on making, doing, and sharing together as a base of identity that can provide real sense of belonging rather than the imagined community of ethno-national identity. Let me start, though, with what I see as the origin of democratic crisis. One of the great achievements of the emergence of national identity in 19th century Europe was that it allowed dispersed regions and principalities to replace local and religious identities for the newly emerging idea of a democratic state, subject to the rule of law, and respecting civil and political rights, initially, and later economic and social rights as well. The 20th century saw some of its worst nightmares when nationalism went awry. But it also underwrote the sense of shared destiny necessary to construct some of the most mature egalitarian and democratic successes in the post-World War II decades. Christian Democratic, Social Democratic, and even Anglo-American liberal societies organized their economic affairs around the administrative state, with stable employment in large companies managed by authority figures—public administrators and private managers—and mirrored by traditional male-headed families. This so-called ‘Golden Age’ of western capitalism collapsed in the 1970s, for a range of reasons. A major feature of the past 40 years has been that the nation state eroded as the central organizing principle of economy, identity, and institutions, losing its centrality to competing sources. Externally, globalization, cosmopolitanism and universal human rights, and internationalism shifted economy, identity, and polity from the state to the regional and global. Internally, the role of the national public fragmented and shrank along the same three dimensions. Deregulation and privatization (economy), pluralism, civil rights, and individualism (identity), and ever-expanding reliance on private ordering mirrored the internationalizing effects. The economic crisis a decade ago exposed the tensions created by this structure, its excessive inequality, its increasing economic insecurity, and its failure to give many people a real sense of identity. Authoritarian economic nationalism and illiberal majoritarianism seem to offer an internally coherent alternative for their adherents by inverting all three dimensions of markets, identity, and polity. What is the alternative and what has that alternative got to do with cities? How do we re-embed markets in social relations, without falling back onto patriarchal, ethno-nationalist categories of solidarity as do the economic nationalists? How do we preserve the anti-authoritarian, pluralistic, open and questioning spirit that flourished in open societies since the 1960s without leading to the profound epistemological and identity crisis that seems to play so central a role in the re-emergence of xenophobic tribalism and the search for tribal authority figures typical of the politics of economic nationalism? And how do we translate these abstract ambitions into a working policy agenda? I take as inspiration for the answer from the early experience of the Internet generally, and of commons-based peer production in particular—free and open source software, Wikipedia, citizen journalism. I also take the ways in which the early promise of these great projects as models for transforming society have stalled, and as practical working policy agenda the emerging model of sharing cities, and in particular the idea of a public-commons partnership at the municipal level. The general focus of the city on providing space, training, and experience sharing of a broad range of volunteer, collaborative, or commons-based projects helps encourage a model of economic production based on a sense of shared destiny. When free and open source software emerged to public consciousness in the late 1990s, it was an ‘impossible’ phenomenon. Here were thousands of volunteers, cooperating on developing some of the most complex software infrastructure on the model of a commons: anyone could contribute, no one had exclusive rights to use, adapt, or distribute the software, and most people contributing were not paid to do so. That this mission-critical infrastructure was being built on a mostly volunteer, fully non-proprietary model, in direct competition with the world’s largest software firms, was a complete mystery to the prevailing economic wisdom of the time. When a few years later we began to see Wikipedia, early versions of citizen journalism, fan culture all emerging as major parts of our information, communications, knowledge and culture environment, the phenomenon of commons based peer production began to seem like a genuine new mode of production, one that resisted both the hierarchical model of managerial capitalism and the relentless commodification of everything in neoliberalism. 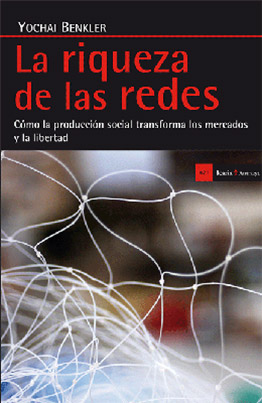 Here, at last, (or so I at least wrote at the time) was a new model of production, one that embedded production in social relations and offered us new avenues to be productive human beings, to create and share the core necessities of the network information economy. As the first decade of the 21st century was coming to an end, the market and the state came back in different but related ways to re-concentrate power and channel the Internet to these older models. The mobile phone and the app store, cloud services, the social network that implements ubiquitous surveillance for marketing, the rise of ‘big data’, which transitioned to AI – each of these trends produced a centralizing dynamic that put the major platform companies in controlling positions. In the meantime, the state as a threat emerged too. The United States and other democratic countries’ extensive surveillance was exposed by Edward Snowden. 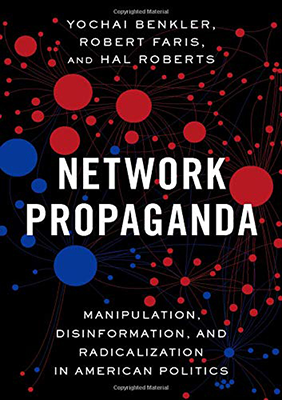 China’s extensive censorship and emerging social control mechanisms using online reputation, and Russia’s propaganda and information operations again showed that the liberation technologies could become, instead, vectors for extensive state abuse. Repeated efforts to build purely decentralized, technologically mediated solutions and workarounds to these efforts by state and major companies have worked partially and imperfectly. Open source encryption software like Signal and systems like Tor do provide real protection to users. But the idea that, by seizing the technological high ground, first free software could protect users from the depredations of the market and the state did not pan out with anything like the comprehensive effect that early advocates had believed and hoped. Seeing this repeated cycle of promise and failure—of hierarchical state-centric systems, of ‘pure¡ market systems, and of purely commons-based cooperative systems—we come to understand the fallibility of all human institutions. This understanding demands that we develop a new approach to reorganizing the social relations of production, polity, and meaning. We cannot nostalgically yearn for the authority of the managerial and administrative state of all. That way, nowadays, seems to lie authoritarianism. We cannot keep closing our eyes and relying on neoliberal markets. That way lies insecurity, alienation, and political upheaval. We need to find ways to integrate the best of the state, the market, and the commons-based peer models to check each other’s failure modes, and in particular to re-embed economic production in social relations. And it is here that cities can become both laboratories and inspiring leaders. Several cities shared their experiences with each other during the Sharing Cities Summit on 12 November in Barcelona, experiences that begin to offer a feel for the kinds of commons-based, cooperative practices. Here I offer only a taste of the practices presented. Barcelona’s Decidim system leverages a free software platform to increase the participatory role of citizens in city governance and municipal projects. First, the Decidim platform itself is a model of public-commons partnership, where the city funds the development of a FOSS platform that is then available for any other city or democratic unit of government to use. The platform itself has allowed tens of thousands of citizens to make over 10,000 proposals for projects and strategic planning throughout the city, debate them and vote on proposals, including a degree of participatory budgeting. Barcelona’s DECODE project, supported by European funding, presents an instance where participatory processes can inform a public-commons partnership where the objective of the project is to produce a publicly-funded privacy and identity protection system, that can be used by residents as a way of asserting facts about themselves without compromising the full trace of their behaviour. The project, still in development, offers a model for cities harnessing their convening and fiscal sources to help create commons-based sources of resistance to the emerging market models of surveillance-based behavioural marketing. Finally, the general focus of the city on providing space, training, and experience sharing of a broad range of volunteer, collaborative, or commons-based projects helps orient residents towards, and incubate, a model of economic production that is based on a sense of shared fate and mutual commitment not as abstract concepts, but in concrete joint projects like mobility coops, crowdfunding, or tourist information for the city. 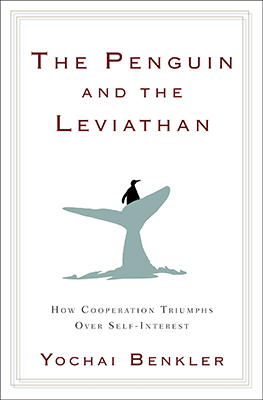 Instead of conceiving us all as self-interested moral idiots, the new model expects that, given the opportunity to be decent and cooperative most people will in fact behave as decent, cooperative beings. Another example is Bologna’s charter of common goods. In this project, the city has created an office of civic imagination to create and oversee a fluid framework to allow residents to come together, propose a project for the neighbourhood or the city, and cooperate among themselves, with city permission and coordination where necessary, to deliver common goods. Milan, in turn, has recently created a matching program where citizens can launch crowdfunding campaigns for social impact investments, where the city matches donations from individuals, local businesses, and NGOs to create social impact projects that impact the urban environment. In Sweden, a national Sharing Cities Sweden initiative shares experiences among different cities. Malmo in particular presented at the Sharing cities Summit a project focused on affordable sustainability. Land use permits were awarded to developers who identified projects, in some cases with community participation, focused on attaining affordable sustainability by emphasizing shared spaces and facilities over replication inside apartments. The primary emphasis here was on using the city’s planning powers to create spaces specifically designed for more collaborative, shared living arrangements. My purpose here is not to provide a detailed analysis or critique of the projects presented at the Sharing Cities Summit in Barcelona in November 2018. At this early stage, it is too soon to imagine that any individual project is the solution. Rather, my point is to take the diverse presentations and suggest how, together, they present an attitude towards governing cities that could provide the foundation for a sustainable, innovative political economic model that will provide its participants with a sense of shared identity through working and doing together in communities of practice. First, the model depends and insists on continuing participation and transparency between government and its citizens. This is harder to do on larger population scales, but cities, even large cities, offer a level of government that these cities are showing can in fact work in meaningfully participatory ways. Second, the model rejects the neoliberal segregation between the political and the economic, and understands that markets reflect power relations, can often fail, and that citizens banding together as citizens with the backing of their public representatives can exert enough counter power to create a more livable and sustainable model of production in creative tension and collaboration with, rather than subordinate to, market actors. Third, the model of the public-commons partnership avoids nostalgia for a golden past where authoritative administrators knew what was best for the population and managed things well for all. Rather, continuous participation and an active collaboration between public institutions and commons-based communities of practice promise to correct some of the known failures of public administration, without retreating to a ‘markets will take care of it all’ logic. Here, the fiscal and regulatory powers of accountable democratic governments combine with the authentic legitimacy and distributed knowledge production of communities of practice working together on solving shared challenges can provide an important counterweight to the totalizing logic of markets, on the one hand, and the errors and narrow-mindedness we have in the past seen associated with technocracies. Fourth, and finally, the model of the municipal public commons partnership rejects the cramped view of humanity that played such a central role in the rise of neoliberalism from the 1970s to the Great Recession. Instead of conceiving us all as self-interested moral idiots, the new model expects that, given the opportunity to be decent and cooperative most people will in fact behave as decent, cooperative beings. And when we encounter each other as such beings, we reinforce the tendency in each other and breed more of a sense of shared fate and mutual respect and support. Together, these elements of the public commons partnership model, pioneered by several of the cities at the Sharing Cities Summit, begin to offer the foundations of a genuine alternative to rising ethno-nationalist populism that bases identity on an ‘us’ defined by rejection of a ‘them’ and appeals to authority figures and economic corporatism. Pubic commons partnerships can offer a model of socially-embedded production, where participants form a sense of shared fate and identity through practices of trust, practical cooperation, and observed productive achievement. By integrating participatory processes and platforms honed in the world of online collaboration, and maintaining continuous learning relations with commons-based communities of practice, municipalities can offer a more engaged experience of citizenship. Local businesses can loosen their tethers and relentless pressure of the pure logic of the market, and create sustainable, multiple-bottom line approaches in collaboration with public institutions and commons-based practices. By experimenting with diverse models, collaborating politically to win legal space, and sharing their experiences and technical solutions and approaches with each other, an alliance of cities committed to finding a solution to the next stage of democratic societies can make a major contribution to developing that stage.